Carbohydrates are one of three macronutrients in your diet -- the others are protein and fat. Carbohydrates are converted to glucose as the primary source of energy for your body. Despite the bad reputation carbs have received, most of them are actually good for you, including fresh fruits, vegetables and whole grains, which provide your body with essential vitamins, minerals and fiber. On the other hand, sweetened beverages, desserts and foods with added sugar contain carbohydrates, but they offer little nutritional benefit and should be consumed sparingly. Carbohydrates are found in all food groups with the exception of fats and oils. 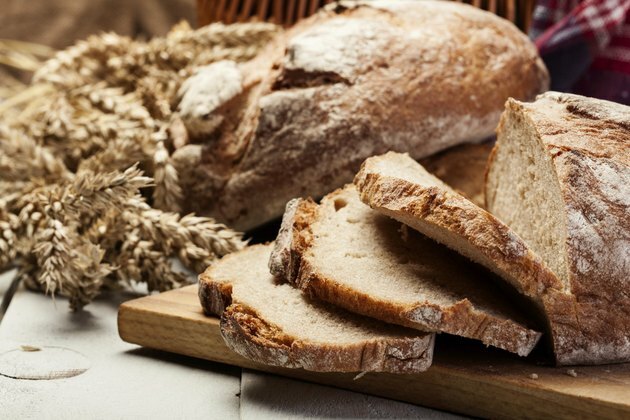 The carbs in your diet come primarily from the bread, cereal and grain food group, as well as the fruit and vegetable group. These foods are naturally higher in fiber, helping you feel full longer. The milk, yogurt and cheese group contains carbohydrates, protein and fat. Meat, poultry and fish without breading or added ingredients do not contain carbs, but other foods in this protein-rich group, such as beans and nuts, do contain varying amounts of carbohydrates.